There has been increased recognition in recent years on the need to build collective humanitarian, development and peacebuilding outcomes to effectively tackle poverty, vulnerability and crisis. 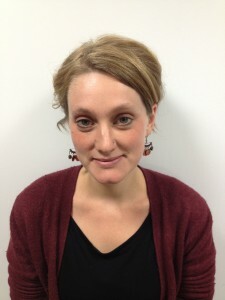 The Grand Bargain, which emerged out of the World Humanitarian Summit in 2016, includes a commitment to enhance engagement between humanitarian and development actors, and the Addis Ababa Action Agenda Third international conference on Financing for Development recognised the need to build coherence between Agenda 2030 and humanitarian responses. To achieve collective outcomes, data is critical. Information on both the needs of people and the current allocation of resources is vital to spend resources effectively. So what does the data tell us about the linkages between poverty, crisis and risk? 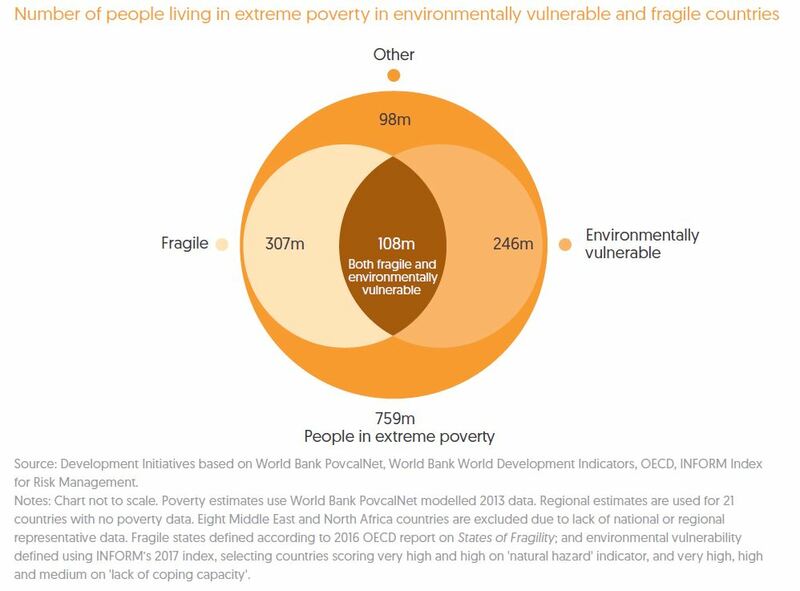 As illustrated in Figure 1, most people living in extreme poverty are in countries affected by fragility, environmental vulnerability or both (87%; 661 million people). Poverty is concentrated in high-risk settings, and the greatest increases in levels of extreme poverty in 2013 were experienced in protracted conflict and complex crisis contexts – in the Democratic Republic of the Congo and South Sudan. Countries affected by fragility and environmental vulnerability are also lagging behind in other dimensions of poverty, such as those reflected in the Human Development Index. As illustrated in Figure 2, countries that were environmentally vulnerable had an average Human Development Index score of 0.64 in 2015. Fragile countries had an average score of just under 0.5 in the same year; the impact of conflict is evident for many in this group with, for example, Syria, Libya and Yemen all showing notable falls in their Index scores. Furthermore, low-income fragile countries, including those in a number of crisis-affected contexts such as South Sudan, have fallen even further behind on the Human Development Index in recent years, as demonstrated in Figure 3. This data shows that poverty, crisis and risk are intrinsically linked, and if we really are to see an end to poverty in all its forms everywhere, we must develop and invest in a holistic set of financing tools and sustained investment to address the causes and long-term consequences of crises. Continued efforts to strengthen data and address information gaps on levels of poverty and people’s needs in crisis and risk contexts will also be critical. In many high-risk settings, true levels of poverty are simply unknown and national figures may miss pockets of subnational crisis.